If I wish to read a blog which is *only* about the narrow, limited topics of my own interests, I’ll write it myself. 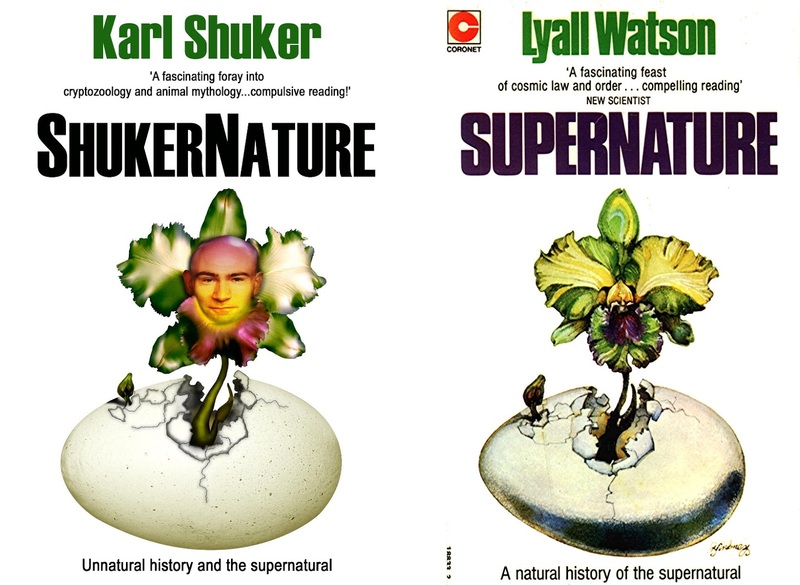 If I wish to read a well written, extremely well researched blog on a wide variety of suspected, imagined, claimed, portrayed creatures from the mundane to the monstrous, from the Byzantine and the bizarre to the modern and the miraculous – I’ll read ShukerNature. It’s been a long time coming – over eight years, in fact, since I first mooted the idea of preserving my ShukerNature blog posts in permanent, hard-copy book format – but it’s finally here. 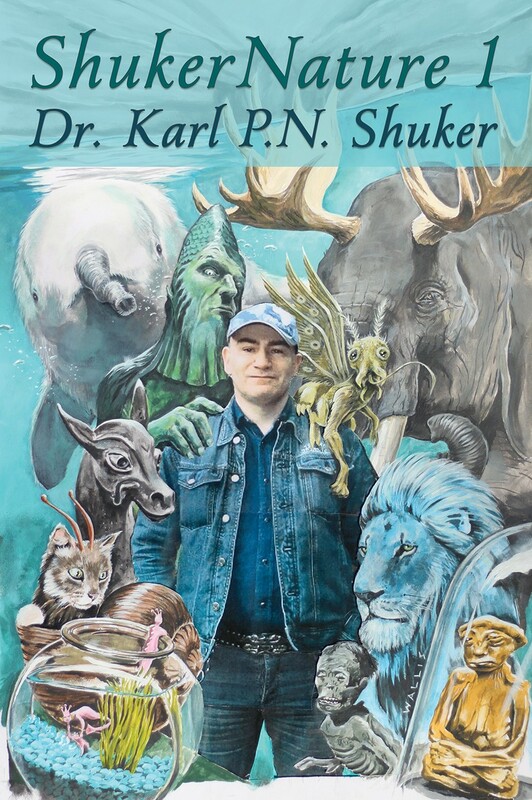 In what is planned to be a regular series, today, 8 April 2019, sees the official publication of ShukerNature Book 1: Antlered Elephants, Locust Dragons, and Other Cryptic Blog Beasts. Although I first became yoked to the internet via an email account back in 1997, followed by my own official website a year later (created by the late, much-mourned American cryptozoologist Scott T. Norman), I steadfastly remained immune to the world of online blogging until as relatively recently as 2009 – 20 January 2009, to be precise, when I finally gave in to temptation. For after the Centre of Fortean Zoology (CFZ) kindly established it for me in tandem with their own ‘umbrella’ of CFZ-affiliated blogs called the CFZ Bloggo, that was the fateful date upon which a short item entitled ‘Wolves of the Weird’ (click here to read it) became the first of what currently stands at over 600 illustrated articles of varying lengths and exceedingly varied subjects that have been researched, written, and uploaded by me onto my very own, unique blog. 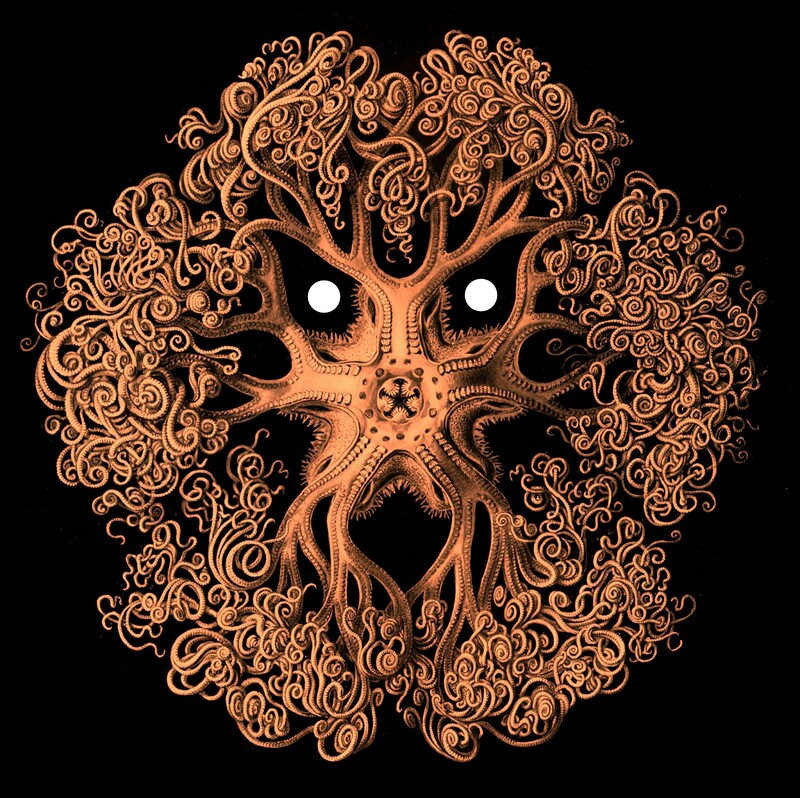 As its many loyal readers will confirm, ShukerNature is devoted to cryptozoology, zoomythology, anomalous animals, animal anomalies, and unnatural history of every kind, as well as some investigations and reviews of certain ostensibly zooform entities that may be of paranormal, supernatural identity rather than corporeal creatures of zoology. It has also enabled me to preview various in-progress and forthcoming books of mine from 2009 onwards, and, via its Comments section at the end of each of my articles, allows readers to post their own thoughts, opinions, and information, thereby becoming a valuable source of original ideas, news, and data. Knowing that my blog’s contents would cover such a vast diversity of subjects, and that they would all be written in my own particular style (unencumbered by the necessities to conform to any one specific style convention as is so often the case when writing for specific publishers or publications), posed an especial problem for me with regard to what my blog’s name would be. How could I possibly come up with a title that would encompass all of those subjects in a succinct yet definitive manner, and also emphasise that these were my writings, penned in my style? In fact, as it turned out, I didn’t come up with such a title – someone else did. That person was fellow cryptozoologist and CFZ colleague Oll Lewis. After hearing that I was having trouble coining a suitable title for my blog, he achieved what to me seemed the impossible – suggesting a title that fulfilled every requirement, covered every subject, incorporated a direct reference to me in it, and much more besides, yet, incredibly, did all of this by way of just a single word! And that word, which did indeed become my blog’s title? ShukerNature. Oll has never disclosed his inspirations for what was indeed a truly inspired suggestion; but because he and I are of similar generations, I think it likely that a certain book and also quite possibly a certain song that both achieved considerable fame during our youth may have played their part, consciously or otherwise. The song, entitled ‘SuperNature’ and released in 1977, was a disco classic by Cerrone (aka the Italio-French disco drummer/composer/record producer Marc Cerrone). In its original format, more than 10 minutes long, this song was the title (and opening) track of Cerrone’s third album; but in a shorter format, just under 4 minutes long, it hit the singles charts all around the world in 1978. Its verses’ lyrics (written by an uncredited Lene Lovich) took as their unusual theme for a dance song the dangers of tampering with the environment, turning ordinary creatures into dangerous monsters, with its infuriatingly-catchy chorus simply the repeatedly-sung word ‘SuperNature’. Within just a couple of years from my blog’s creation, I was already receiving enquiries from readers as to whether I would be producing a ShukerNature companion book, or books, at some stage, containing selections of its most popular and intriguing blog articles. And when I enquired both on the blog itself and also via my various cryptozoology-linked Facebook pages and groups (including one devoted specifically to ShukerNature) whether there was indeed an interest out there for such a project, I swiftly received a very emphatic affirmative. An additional reason for doing so was that by converting selections of my ShukerNature articles into a hard-copy published format, they would be rendered permanently accessible in a manner that online data, so often ephemeral in status, can rarely emulate. For whereas a book, once in print, has a guaranteed existence, a website can exist online one moment and vanish the next, thereby expunging a fund of unique, irreplaceable information. And so I began planning what at that stage I was referring to as ShukerNature: The Book, alongside various additional writings. However, as sometimes happens, life – and death – had other plans for the direction in which my future would take. Or, as my wise little Mom used to remind me gently if I railed against my dreams and ambitions faltering or falling into disarray: “Man proposes, but God disposes” (which is a translation of the Latin phrase ‘Homo proponit, sed Deus disponit’, from Book I, chapter 19, of The Imitation of Christ by the German cleric Thomas à Kempis). Thus it came to pass that my blog book was set to one side, and other projects that for one reason or another needed to take precedence were duly completed and published in its stead. Notable among these were my second, long-planned, and extremely comprehensive dragons book – Dragons in Zoology, Cryptozoology, and Culture; a wide-ranging compilation of my most notable Loch Ness monster writings – Here’s Nessie! ; and of course my fully-updated, massively-enlarged, biggest-ever cryptozoology volume – Still In Search Of Prehistoric Survivors. These are all now published, and in the meantime the very many additional blog articles that I have continued to research, write, and post each year have provided me with an immensely expanded list of possible examples to include in my eventual ShukerNature compendium. Formulating how such a book could be prepared, however, was not an easy task, and took a long time to accomplish to my own satisfaction. Indeed, the eventual volume that resulted proved to be so sizeable that the decision was finally taken to divide it into two separate ones, of equal length, to be published sequentially. Consequently, and after much deliberation in the choosing of its specific subjects, I now have great pleasure in publicising herewith on its official date of publication, 8 April 2019, the first of those two volumes, in what I hope will be an ongoing series of ShukerNature books. Its contents – now saved forever from the vicissitudes of the internet, available for you to read and re-read whenever and wherever you choose to do, updated and expanded when new information has come my way since the original articles were uploaded online, and unequivocally unlike any other collection of writings, whether in print or out of it – document some of the most remarkable, spellbinding entities from my blog’s furthest frontiers and most shadowy hinterlands. After all, where else, within the covers of a single 418-page book (and sumptuously illustrated throughout via spectacular full-colour and rare vintage b/w pictures), are you likely to find such exotic zoological esoterica as locust dragons, antlered elephants, North America’s alligator men and Egypt’s crocodile children, reptilian seals and seal dragons, king hares and giant rabbits, fan-tailed mermen and scaly bishops, flying cats and even flying elephants, green tigers and blue lions, giant oil-drinking spiders and bemusing sea-monkeys, demonic dragonflies and fury worms, marginalia snail-cats and elephant rats, pukwudgies and Pigasus, ape-man Oliver, lightbulb lizards, mini-mummies, my very own mystery animal, and how ShukerNature famously hit the cryptozoological headlines globally with a series of astonishing world-exclusives exposing the long-awaited truth about Trunko? And if you’re wondering how can I possibly follow all of that, the answer is simple – ShukerNature Book 2: Living Gorgons, Bottled Homunculi, and Other Monstrous Blog Beasts – due out later this year. And don’t forget – you read about it here first! Last – but certainly not least – of all: I wish to offer a massive, sincere vote of thanks to all of you for reading and supporting my ShukerNature blog since its launch in 2009 – without your enthusiasm and interest, it could not have survived – and I look forward to sharing with you many more exotic, entertaining, esoteric, educational, and always thoroughly extraordinary wildlife secrets, controversies, mysteries, surprises, and curiosities, as well celebrating many more ShukerNature anniversaries, both online and in book form, through the years to come! 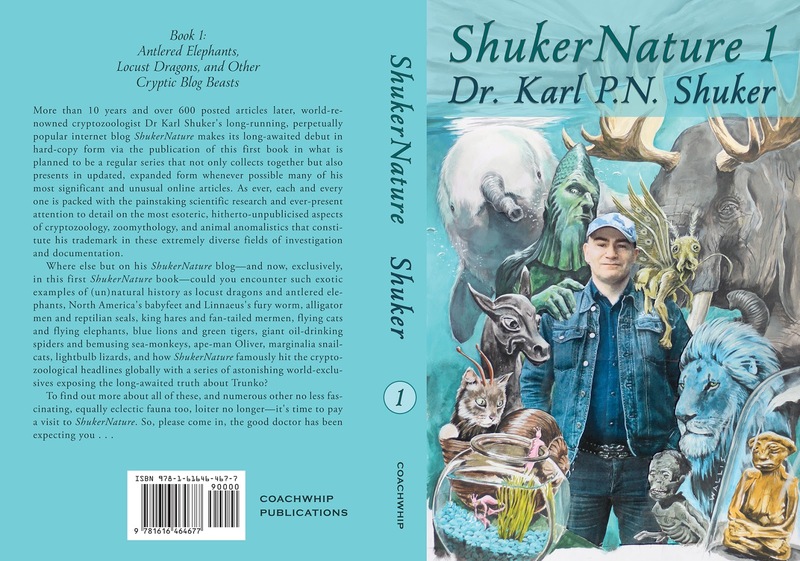 Copies of ShukerNature Book 1 can be ordered through all good bookstores, and can be purchased online at such outlets as Amazon UK (click here), Amazon USA (click here), and Barnes & Noble (click here). For further details concerning it and also my three previous books published by Coachwhip Publications, please click here.